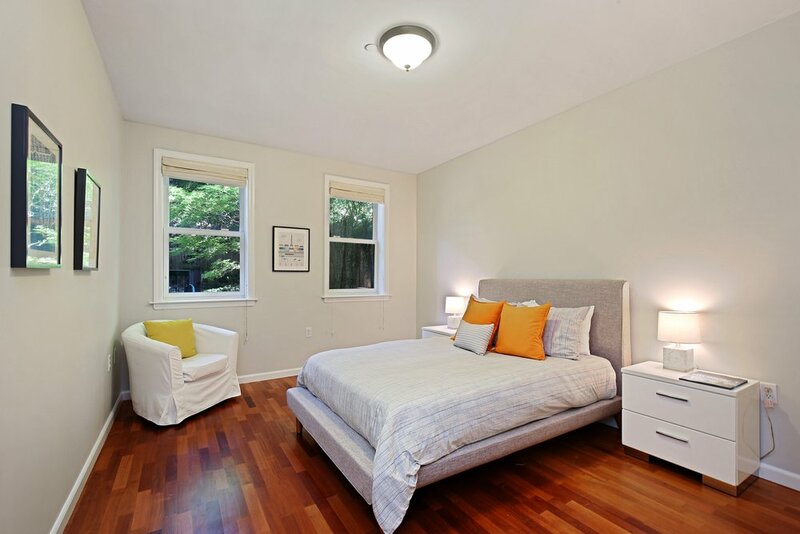 On a picturesque tree-lined street, a half block from Fort Greene Park, this spacious condo features over 1200 square feet of living space, a 900+ square foot, beautifully designed PRIVATE GARDEN, and a large, private rec room/flex space. Enter into the expansive open floor plan which offers plenty of room for separate dining and living areas. The large gas fireplace is a wonderful focal point to the room. The open kitchen has stainless steel appliances and an abundance of solid wood cabinetry. The two large bedrooms, quiet and tranquil overlooking the garden out back, are equal in size, each with a full-sized closet outfitted with Elfa organization systems. The stunning Japanese-inspired garden is very low maintenance and provides a private, peaceful oasis to escape the bustle of the city. 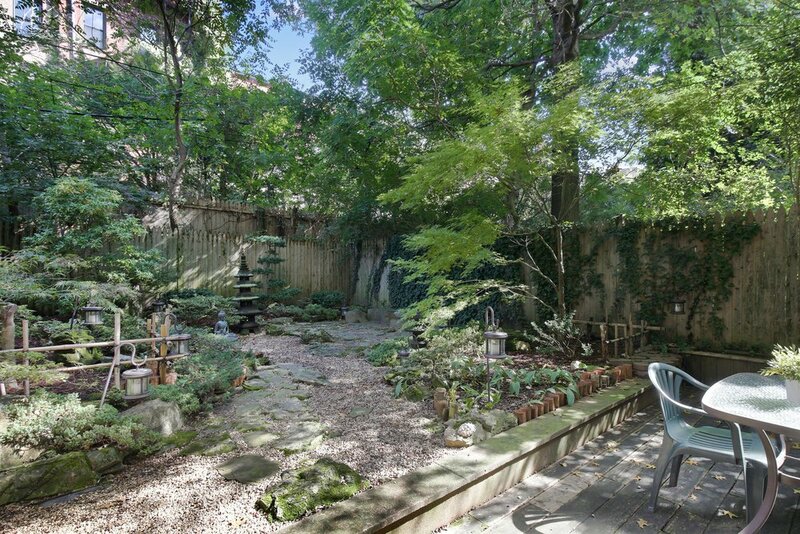 A wooden deck leads to the garden, wonderful for dining and entertaining. Accessible from stairs in the garden or from the main hallway of the building, the rec room/flex space offers the PERFECT opportunity for a buyer who desires a live/work set-up, or who would simply like an extra room. 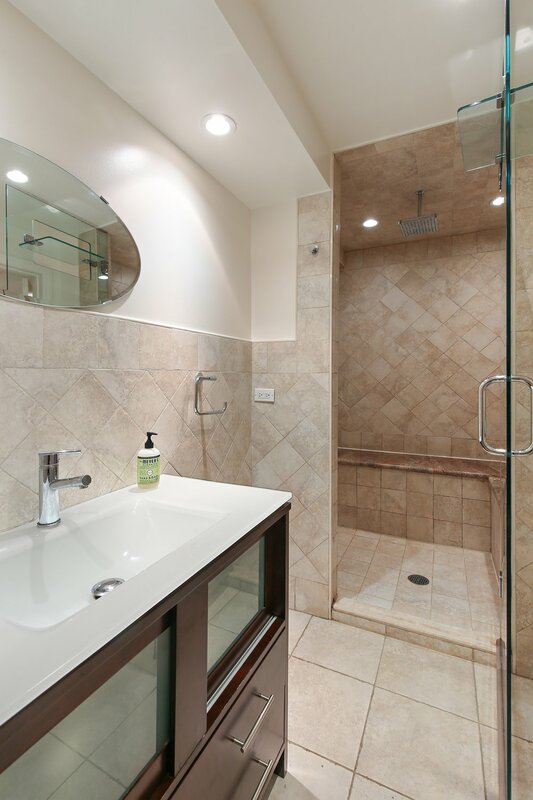 A renovated 3/4 bathroom rounds out this space. This area CAN be connected to the main level of the apartment, though an architect should be consulted. The five-unit, four story condo has central laundry in the basement (laundry CAN be added in the apartment) and separate storage for each unit.